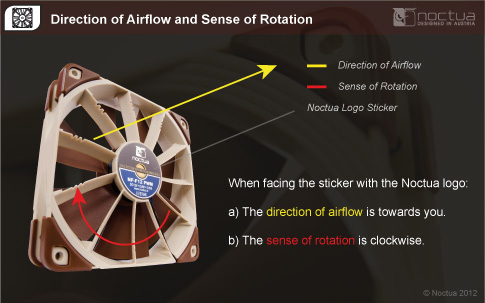 Having received more than 100 awards and recommendations from international hardware websites and magazines, the NF-F12 is one of Noctua’s most renowned and popular 120mm fans. 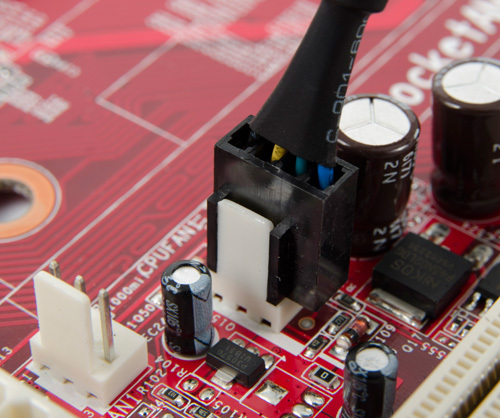 Its outstanding static pressure performance and the FocusedFlow™ frame make it ideal for use on heatsinks and radiators. The chromax.black.swap edition combines the NF-F12’s signature quiet cooling performance with an attractive all-black design and a bundle of swappable red, white, blue, green, yellow and black anti-vibration pads that allow the colour-customisation of the fan to match individual build colour schemes. For further customisation, a wide range of accessories such as coloured cables, additional anti-vibration pads and anti-vibration mounts are available separately. 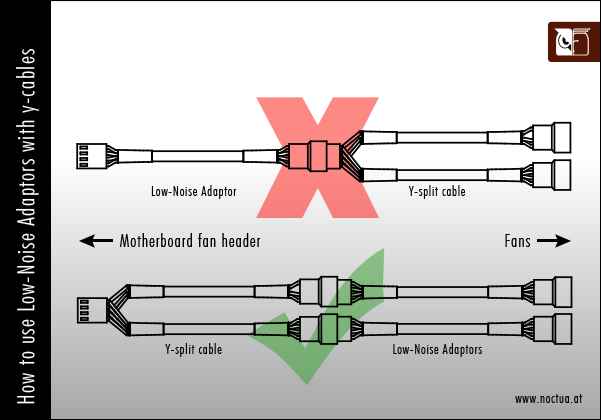 Topped off with Noctua’s trusted premium-grade SSO2 bearing, more than 150,000 hours MTTF and 6-year manufacturer’s warranty, the NF-F12 PWM chromax.black.swap is the perfect choice for all users who value individual, focused build aesthetics just as much as class-leading quality and performance. My chromax fan came with 4 pads per colour, shouldn’t there be 8? As stated in the product description and specifications, the NF-A14, NF-F12 and NF-S12A chromax.black.swap contain 4 black, white, red, blue, green and yellow NA-AVP1 anti-vibration pads. By combining the various colours with black or leaving off the pads on one side, this starter kit allows the fan to be coordinated with most popular build colour schemes out of the box. 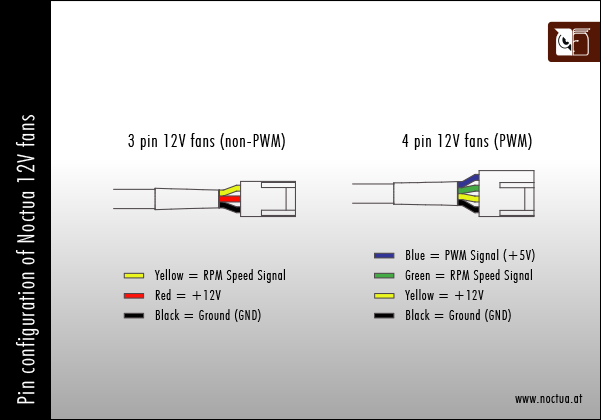 Additional NA-SAVP1 chromax kits can be purchased separately in order to outfit all 8 corners with the same colour. The reason why we decided not to include 8 pads of all colours is that this would have made it necessary to increase the price of the fan significantly. As most customers don’t need 8 pads of all six colours, we think it makes more sense to keep the price of the fan reasonable and allow customers who need more pads of a particular colour to purchase them separately. 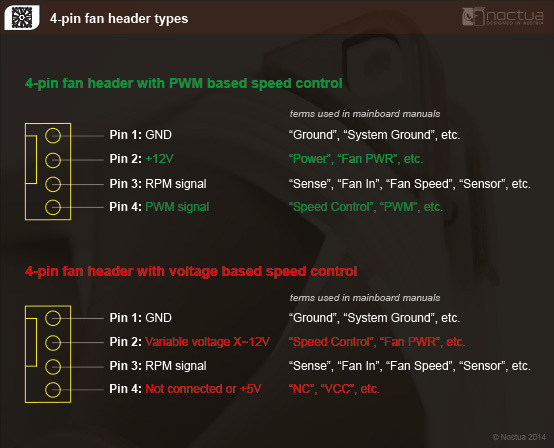 Even for users who want to use 8 pads of one colour on several fans, this is more economical: For example, outfitting four fans with 8 red pads each only requires one NA-SAVP1 chromax.red set (EUR 6.90 / USD 6.90), so the extra cost per fan is only 1.7 € / USD, whereas the retail price of the fan would have to be at least 3€ / 3 USD higher if it included 8 pads of all colours.